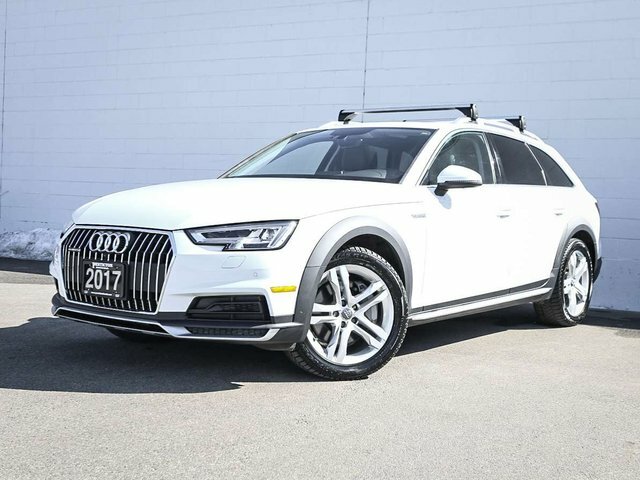 This stunning 2017 Audi A4 offroad Premium is in immaculate condition. The Ibis White exterior, and the black leather interior are both still in showroom condition, and the interior still has it's "new car" scent. 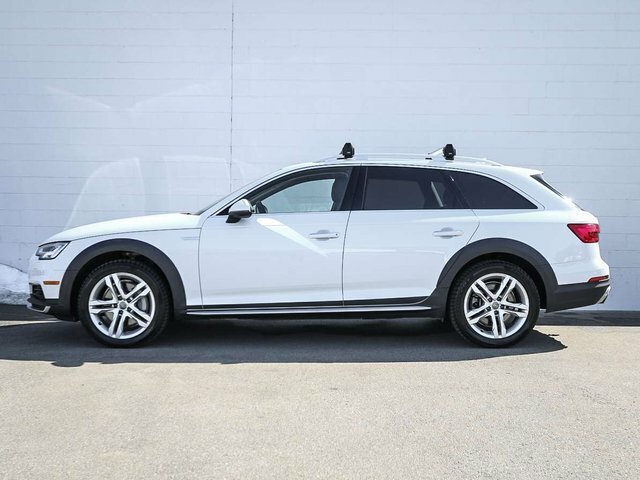 The A4 was originally purchased in March of 2017 at the Audi Open Road dealership in Vancouver, and has never been registered outside of B.C. With less than 35,000 km's, the Audi still has until 2021, or until 80,000 km's of it's remaining factory warranty. Powering this stylish AWD is an Intercooled Turbo Premium Unleaded I-4 cylinder 2.0L engine that produces 252hp and can get up to 28 MPG. We put the Audi A4 through a multi-point, comprehensive used vehicle safety inspection to ensure driving quality. As part of that inspection, the oil/filter have been changed, and the tires filled with nitrogen for longer wear. 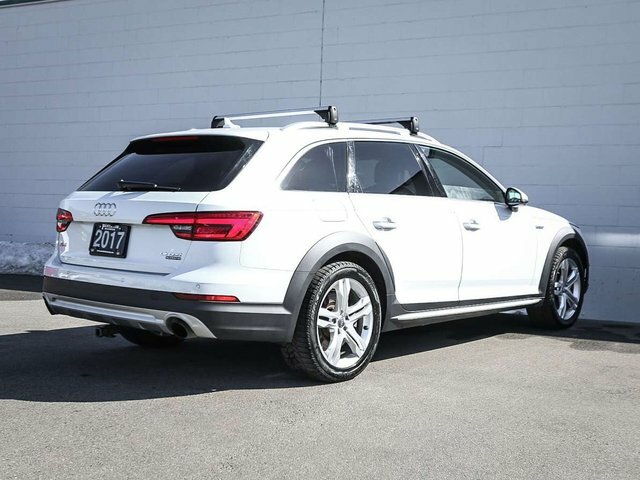 Just some of the features in this 17' Premium model include power windows/locks/mirrors, touchscreen navigation with nav display option is dash, power panoramic sunroof, reverse camera, dual climate control, AC, parking sensors, downhill decent assist, proximity keyless entry with push button start, heated leather front seats, factory alloy wheels, all-weather mats, cargo cover, roof rails with cross bars and so much more!